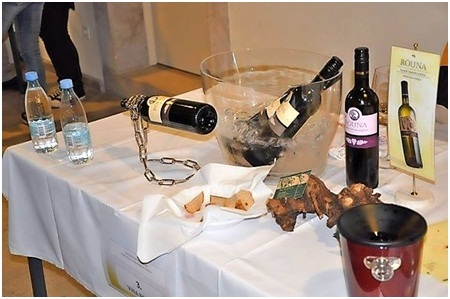 The Graduate School of Viticulture and Oenology of the University of Nova Gorica hosted the Ninth Student Wines Festival in the Lantieri Mansion. 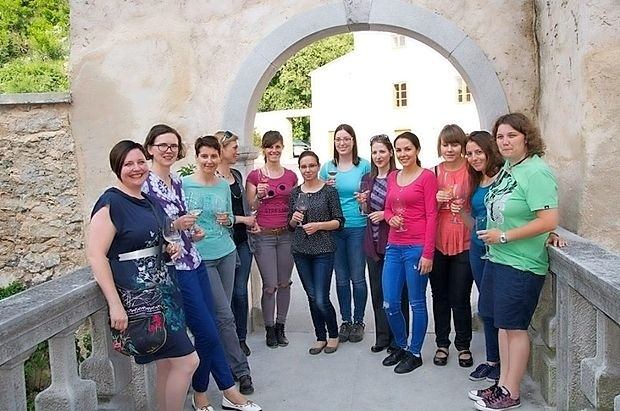 Vipava – The students of the professional Bachelor’s degree program “Viticulture and Oenology” accompanied by the Vipava Queen of Wines Nataše Ferjančič and the Ribolla Queen Katje Erzetič tried their hand in promoting and selling wines from local cellars and wines from the cellars of the well-known manufacturers (optionally). The first place went to Jani Fornazarič, the second — to Karlo Kopjar, the third was taken by Uroš Špacapan. The Festival also featured a presentation by the Vipava students, the “Lanthierijeve Zvezde” team members, the last year’s winner of the “Lidlov Mladi Vinar” competition, and the members of the team that will participate in the competition this year. Visitors were also able to taste a variety of wines from the University of Nova Gorica: Univerzitetno rdeče (University Red), Univerzitetni zelen (University green), Univerzitetni rose (University pink) and Rektorjev izbor (the Rector’s selection).